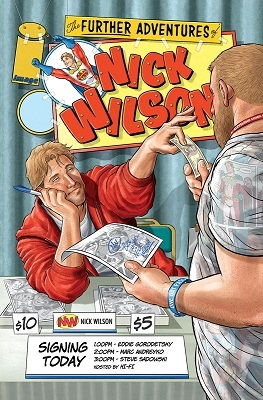 "Writer/creators Eddie Gorodetsky and Marc Andreyko have teamed with artist Stephen Sadowski to pose the question most caped crusaders never have to answer: ‘Now what?’ The world's first real super hero Nick Wilson was at the start of a glorious career which ended faster than a speeding bullet. 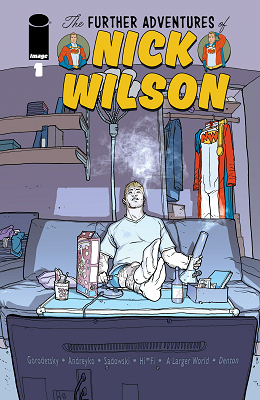 Now not yet thirty, he has to face his uncertain future without powers, without the costume, and with very few options other than dealing with his non-super life one day at a time. 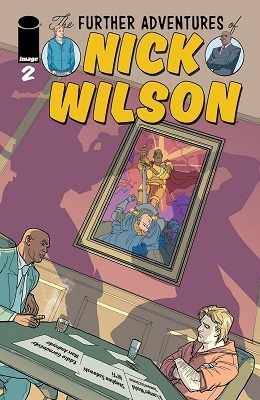 The Further Adventures of Nick Wilson is a sometimes funny, always touching parable about the pitfalls of early success, cloaked in the tale of a one-time hero who believes his best days are behind him."